When you got tired of a huge amount of dull and daunting images, turn to airy pictures that give a sense of calm and peace. Probably, every photographer loves these gentle light photographs. Are you always asking yourself how to achieve this effect easily? This outcome is easily achieved by using a bunch of light and airy free Lightroom presets. They were designed specifically to make your best photos even more quality and memorable. These presets are just a treasure for professionals involved in photo industry because they represent a professional collection of everything you need to create incredible photos. You can accomplish good results with these free bright and airy Lightroom presets, great choice for almost any kind of photography. Do you work with vintage photos, wedding love-stories, fashion photos or family lookbooks? 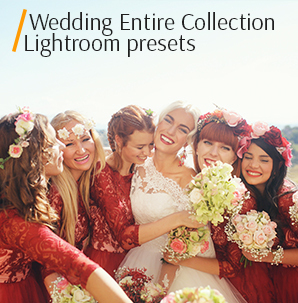 Our free light and airy Lightroom presets are for you! LR Preset #7 "Spring matte"
you are still wondering how to make photos light and airy in Lightroom. Free Light and Airy Lr Preset #1 "Contrast"
It is crucial to observe the natural shades of gentle photos. This preset will simply help to release the natural hue of the picture to give it an incredibly beautiful shine. Light&Airy Lightroom Preset Free #2 "Soft"
One of those free Lightroom presets light and airy that soften the harsh shades in your photos. Light and Airy Lightroom Preset #3 "Pastel"
This preset will become useful in the various types of photographs editing as the photos of weddings, families, newborns or love-story. This is one of the best free light and airy Lightroom presets for giving an image a pastel glow. Free Light& Airy Lightroom Preset #4 "Brighten"
Want to get an incredible dreamy effect on your photos by simply applying preset? Bingo! This one will transform the work by lightening the darkness and give the images a mysterious depth. Light and Airy Preset Lightroom #5 "Apricot"
Lighten your dark photo, add brightness to it and refresh it with this preset. Add a gentle toning. Therefore, you will get a beautiful realistic photo. Lightroom Preset Light and Airy #6 "Dream"
Looking for the perfect preset for landscape photos or photo shoots in nature? Refer to this preset. At first, it seems that it doesn’t change the photo at all, the effect will be so soft and elusive, but you are guaranteed to fall in love with the new softness and vividness of photography. Lightroom Light and Airy Preset #7 "Spring matte"
Do you like old matte shades? This preset will help you create a picture as perfect as you want. Free Lightroom Preset Light&Airy #8 "Purple"
Often the light airy Lightroom presets set the goal to achieve an atmospheric view of the photo. This preset copes with the task. Light and Airy Lr Preset Free #9 "Warm"
A pleasant shade of a noble warm glow will become commonplace for you as soon as you try this magnificent preset. Light and Airy Preset for Lightroom #10 "Rosy"
This preset is gorgeous for those who want to make their photos incredibly professional and chic. 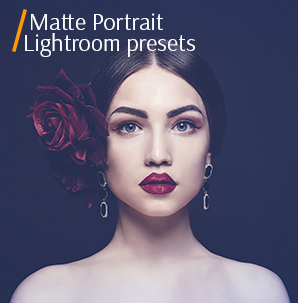 These light and airy free Lightroom presets are created by professionals especially for professionals because they meet all the modern requirements of digital photography. They are perfect for any type of photos, from pictures of weddings, architecture, toddlers and ending with nature and romantic photos. 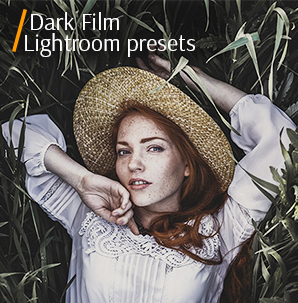 These free Lightroom presets light and airy are an integral part of the set of competent presets. Stop these exhausting searches of ideal solutions for editing your photos, try our collection of free Lightroom presets light and airy and enjoy the charming look of your images.